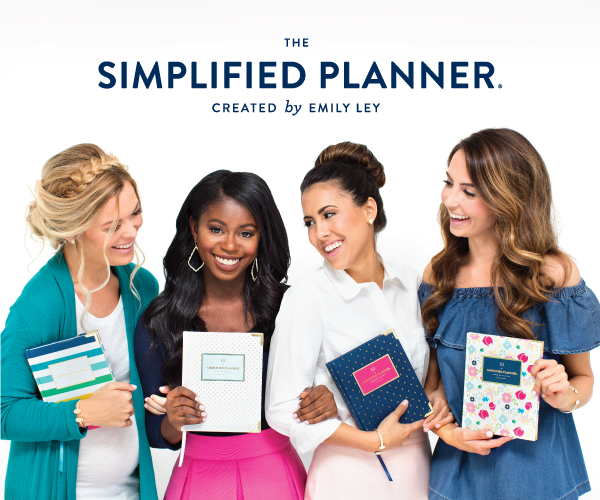 The Simplified Planner by Emily Ley is one of my all-time favorite products. I have used this planner for several years and felt that I needed to share a clear Simplified Planner Review so you can determine if this planner is the right fit for you! I will admit that I am not the most naturally organized person when it comes to my schedule or to-do list. I tend to run on the “It’s all saved in the ole noggin” method (taps top of head with cheesy grin). And that method usually leads to a double booking of dinner with my husband as well as a workout class with friends. All because I trusted my brain to remember everything. A few years ago I decided to use a Simplified Planner from Emily Ley to keep better track of my personal life and it has really changed everything for my scheduling. I have found the planner whom my soul loves. My decision to purchase the Simplified Planner was actually made because the covers were so cute. I heart pineapples (both in taste and in style) and the Gold Pineapple cover a few years ago won me over before I even looked at what was inside. When I started using my Simplified Planner, I realized how much I was benefitting from the way it was set up. I got the daily version, but there is a weekly version as well if you prefer to see things a week at a time. 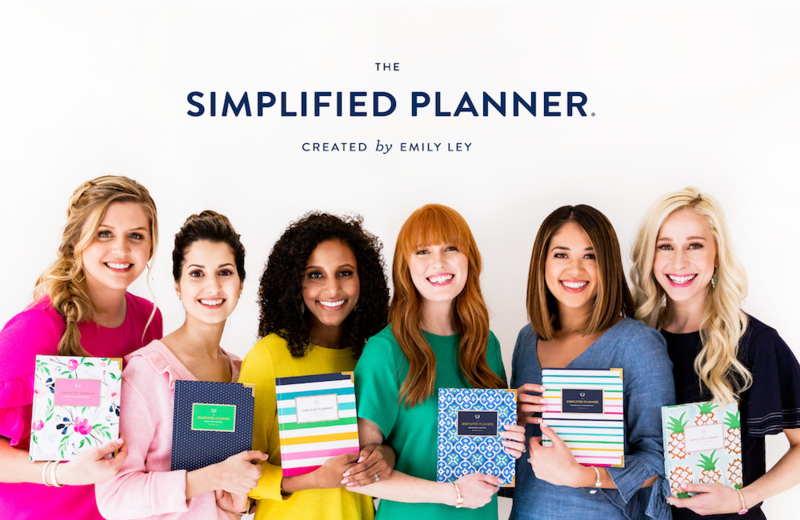 Since I have benefitted so much from using my Simplified Planner, I wanted to help you also get the most out of your planner with this Simplified Planner Review. The Simplified Planner has a section specifically for To-Do’s. Other planners I have used have had a notes section, or just a space to write out your appointments. I love getting to write out my to-do list in my planner and I have even started writing it out in advance. Sundays are typically my day to write out my to-dos for the week, which helps me better see how I need to allocate my time that week. If I don’t cross off all the items for one day, I just add them to the list for the next day. So my Friday list is usually way longer than originally planned. Progress, not perfection, am I right? If you do meal planning or want to do meal planning, the Simplified Planner gets you. There is a space on each daily page just for you to write down what’s for dinner. It is even large enough that you can write down a short recipe, or other instructions (such as “Pick up dinner from XXXX Restaurant” which is written down in my planner a lot). This has helped me get much better with my grocery purchases. I can make a list of meals for the week and order the ingredients via Instacart (my favorite way to grocery shop) and I am about 78%* less likely to buy things I don’t need (*numbers not found through an actual study). The 2018 – 2019 Simplified Planners combined the two note sections at the bottom of the page into one so you can customize it how you need to. Just another way to simplify your life! This is a planner. So obviously it has a section for keeping track of your appointments. What I think is great about the Simplified Planner is that you can look at your appointments and your to-do lists side by side. I find this incredibly beneficial because I can take the open sections in my day and assign times for specific to-dos. I am way more likely to get something done if I have a designated time for it. I love the monthly view in the Simplified Planner. I enjoy being able to see my month at a glance and be prepped for any upcoming trips or showers that I might need to plan for. I also love being able to look back at the monthly views and see what all I have done throughout the year. I started writing down when my daughter, Kinsley, reaches milestones (ex: first smile, first laugh) so that I can have all of that documented for reference when I finally finish her baby book when she is 18. How will you get the most out of your planner? Digital or paper. Simplified Planner or iPhone. Pick a method that works for you. I have found that having a written record of your appointments and to-do lists, make you much more likely to forget and more likely to accomplish your goals. What is your system for keeping your head on straight? Did this Simplified Planner Review help you in your search for the perfect planner? I would love to hear how you get the most out of your Simplified Planner or about what planner you use in the comments below! Ohhh I need this. I use a general notebook to jot everything down and then cant find it again! I love the different sections and how simple it is. I find the simpler a process is the easier it is to stay on track and organized. That sounds like my kind of planner! I tried a few before but they just didn’t gel with my way of doing it for some reason. I’ll have to look into these! I am a huge fan of planners and organization. I use different types of planners for different things. My important tasks I track with my todoist app. I love it so much. I do use a pocket planner for keeping track of bills but I tend to lean towards digital for business and social.